Okay so I came across this wonderful fun online game by the name of Curious Machine on 3D Slots, it can be played on pc or any IOS device such as iPhones, iPads and even iPod touches. The “correct name of the game according to its makers is Milles Bellhouse and his Curious Machine. If USA Players would like to play online via your computer or laptop then you go click on 3D Slots Games and look for Curious Machine and if you would like to play on you IOS device simply click on “Mobile Casinos” and look for the game there. Play Slots and Get Up To $5,000 In Free Play Bonuses. Sign Up For BetOnline USA Online Casino and Get Up To 200% In Poker Bonuses. 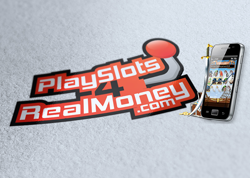 Play real cash money 3D Slots or table games with Their Live Dealers Today. Take Action Now, Limited Time Offer! The game is pretty simple to play like typical slots games and can be played free or with real money, but this game is unlike any other slots game. It has a “double up” feature which can be clicked on to see how you can double up your money by choosing which hand the robot has coins in or a screw in. Now let’s get into playing the real cash money slots, the first button is for your line selection. Now depending on how many lines you would like to bet on, the price goes higher or lower. A USA Player can choose from 30 different line placements at a time, which is the max amount of lines you can do per spin. The next button is the “bet per line” meaning how much money would you like to place on a bet per EACH line you’ve chosen to go with on that spin. 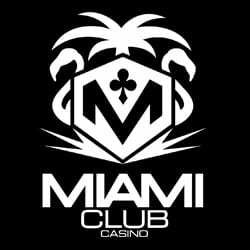 You can bet anywhere from 1-5 credits per line so let’s say you have 15 lines picked – you can only bet between 15-75 credits for that 15 line pick. The next button is the Spin button, which is just above that double up section we talked about. By clicking spin it means you’ve chosen the amount of lines you want and the bet amount per line you like. On the bottom right side we have that huge section which reads “Max Bet” meaning all 30 lines will be chosen for you and the bet per line will be on its maximum of 5 credits per line resulting in a total bet of 150 credits. One of the many cool features of this game is that after you spin and don’t get lucky with any matches, the game gives you a chance and spins one of the reels by itself to see if you can get anything to match to help you out. I found this pretty neat because sometimes if I didn’t win anything on my spin, the reel would spin and I would actually end up winning the real cash money grand prize. They have many impressive symbols in the game which all mean different features and bonuses. 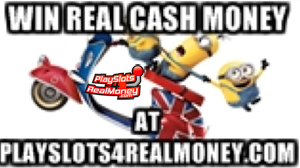 Have fun and win the real cash money grand prize play slots online or any iOS device including Iphone’s, and ipad Minis.